With the recent flurry of transfer activity revolving around many prominent members of Ajax’s current first team squad – most notably Frenkie de Jong’s record-breaking switch to FC Barcelona, a number of questions regarding next season and beyond are yet to be resolved by Messrs Overmars, ten Hag and Co.
One of which is, with his departure seemingly imminent, who will succeed Cameroon international Andre Onana between the sticks at the Johan Cruijff ArenA? Big Andre’s tipped to move to the big leagues in the summer. Despite no move materialising during the current transfer window, it appears almost guaranteed that Onana will be snapped up in the summer and, as Kostas Lamprou’s recent performance – standing in for the injured 22-year-old in an eight-goal thriller with Heerenveen on January 20th that saw Ajax squander the chance of leapfrogging reigning Eredivisie champions PSV Eindhoven into first place coupled with the resultant media backlash that saw accusations of poor judgement aimed in the direction of director of football, Marc Overmars, head coach, Erik ten Hag and even the club’s goalkeeping coach, Carlo l’Ami, from an irate Dutch media proved, a long-term successor to Ajax’s current number one is far from clear. As such, we here at TotalDutchFootball.com have compiled a list of both short and long-term solutions for Ajax’s ‘doelman dilemma’. Despite both arriving at the club in the summer of 2017, Kostas Lamprou and Benjamin van Leer have thus far failed to really stake any sort of claim as Andre Onana’s long term successor. 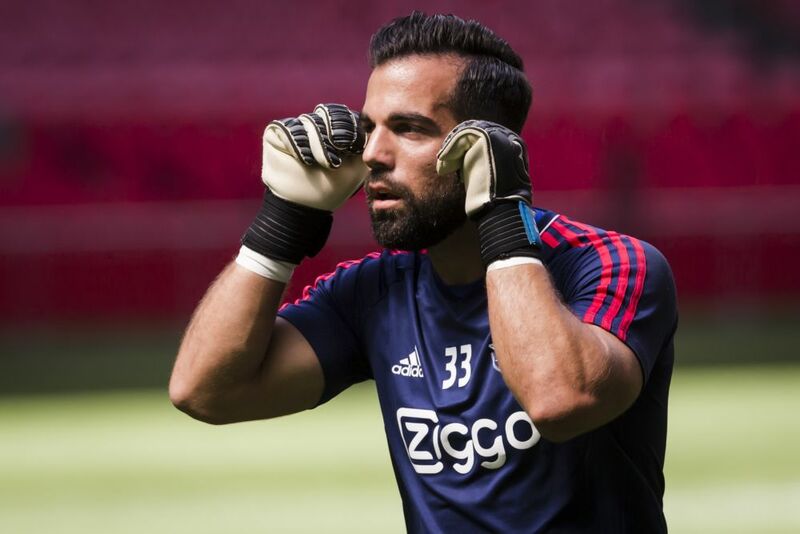 Despite an impressive stint manning the nets for Willem II, the Greek international’s few first-team appearances in an Ajax shirt have been far from convincing and his current deal, which expires in the summer, is unlikely to be extended. Meanwhile, despite being initially tipped as a potential solution to the Ajax goalkeeping conundrum following his switch from Roda JC, having slipped behind not only Onana but Lamprou as well in the pecking order for a starting berth in Amsterdam, Benjamin van Leer now finds himself on a season-long loan with NAC Breda and, despite having a deal that runs until the summer of 2021, it appears unlikely that the club will turn to the 27-year-old when Onana does eventually decide to look for pastures new. Despite being capped at U17, U18 and U19 level for the Netherlands, with just fifteen senior appearances to date, 21-year-old Sven van Bladeren appears to lack the necessary experience to shoulder such a burden at this stage in his development while the same can be said for both Croatian U19 glovesman Dominik Kotarski and Moroccan U23 stopper Issam El Maach who are both just eighteen years of age. Should the club conclude that the aforementioned inexperience of Messrs van Bladeren, Kotarski and El Maach means that promoting from within is not an option and a short-term solution is instead required, Ajax may turn their attention to a familiar face in the form of Everton’s Maarten Stekelenburg. A product of the club’s famed youth system, Stekelenburg manned the Ajax nets with distinction until his departure for Roma in the summer of 2011. At the age of thirty-six and with no real likelihood of first-team football on the horizon thanks to England international Jordan Pickford’s presence at Goodison Park, Stekelenburg may jump at the opportunity to finish his career where it all began while a true long-term successor is prepared. 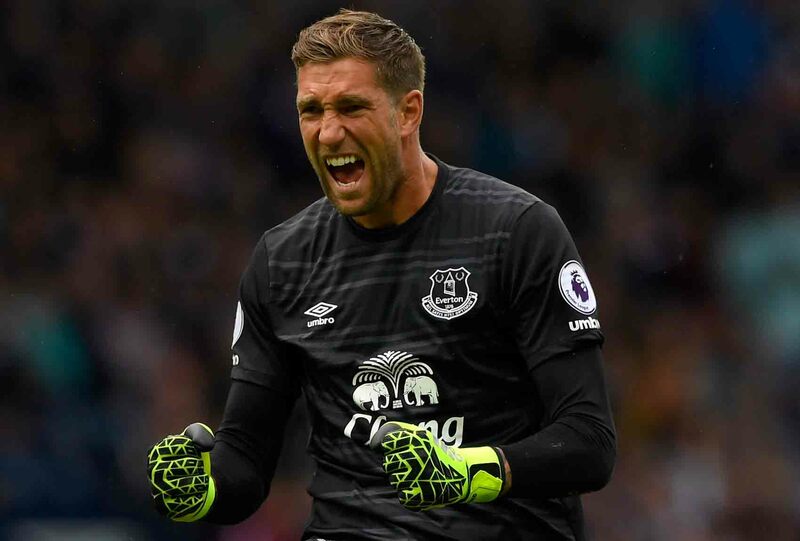 However, it should be noted that Stekelenburg’s current deal with Everton runs until the summer of 2020 and thus might make any move financially unfeasible at this stage. However, Michel Vorm’s current deal with Tottenham Hotspur is set to expire in the summer and, at the age of thirty-five, seeing out his career at the Johan Cruijff ArenA may well appeal to the former FC Utrecht stopper. Should Ajax opt to recruit an experienced glovesman with a view to buying time while a long-term replacement is readied, one name immediately springs to mind – FC Emmen’s Kjell Scherpen. Despite being just 19-years-old, Scherpen has played all but one of Emmen’s twenty games in all competitions this term and has been impressive throughout. Given time to acclimatise, the Dutch U19 international could well become the long-term solution Ajax are looking for. However, should Ajax desire a ready-made replacement, the club may well look to AZ Alkmaar’s Marco Bizot. The 27-year-old has enjoyed an impressive campaign thus far having posted ten clean sheets in his twenty-four appearances in all competitions and his good form resulting in a call-up to the Dutch national team. Whatever the club decides, recent events clearly illustrate that it is imperative a decision on Andre Onana’s long-term successor be made sooner rather than later.